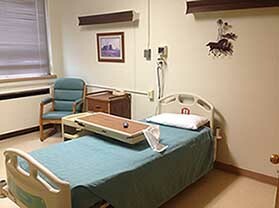 We are a Critical Care Access Hospital located in Bowman, ND that is licensed for 23 beds. We offer the following services: Medical Services, Outpatient Intravenous Therapy, Endoscopy Services, Physical Therapy, Occupational Therapy, Pharmacy, Respiratory Therapy, Radiology, and Laboratory. We provide Inpatient and Observation care to patients of all ages. Our staff consists of physicians, mid-levels, nurses, CNA’S, pharmacist, and therapists who work closely together to ensure the patient receives the best possible personalized care and outcomes. Southwest Healthcare Services hospital staff will treat you like you are family and you will receive quality healthcare close to home.